There is no doubt that the events of the weekend of 16th January were historic. After a decade of international pressure and extended negotiations, trade and economic sanctions against Iran were finally relaxed.The move will undoubtedly have a huge impact on the Middle East, and events are being watched with trepidation from Washington to Jerusalem. Although some commentators believe that Iran's current surge in oil production will be short-lived without further investment, and analysts are also wary of competition from Saudi Arabia, the consensus is that Iran will continue to increase crude output (exports have already doubled to 2 million barrels per day). The burning question for investors is whether the effect will be positive or a catalyst for more tension in an already highly combustible region? The lifting of sanctions means, in theory at least, that Iran’s key sectors – oil and gas, banking, insurance and autos – are back in business. Some effects were fairly immediate. For example, reconnecting Iran to SWIFT (the Society for Worldwide Interbank Financial Telecommunication) so its banks can begin communicating with the rest of the world again. And crucially, the ability to sell its oil. But the news arguably couldn’t have come at a worse time for an industry already struggling with a glut of supply and historically low prices. As markets opened on Monday 18th January, the price of Brent crude oil bottomed out at $28 a barrel for the first time since 2003, since, rising and falling to $42 at the time of writing. The continuing rhetoric coming from Tehran promising it will up production swiftly to “500,000 barrels per day” isn’t helping matters either. However, the long term oil story is not centred on Iran – there are many factors at play here. Absorbing this “bad news” now, could be better in the long term as it avoids a potential future shock. For investors, this time at least, oil isn’t the main event. The sanctions resulted in the freezing of a large chunk of Iranian oil revenues. With the sanctions lifted, Iran is benefitting from a cash windfall, estimated in 2015 to be anywhere between $29bn and $100bn although these figures have since been disputed by US Secretary of State, John Kerry. Regardless of the exact amount, the point is that substantial funds are now free to be invested in Iran’s ailing infrastructure – something it’s been unable to do for at least a decade. Perhaps as a sign of things to come, transport minister Abbas Akhoondi announced the country had agreed to purchase 114 planes from European aircraft maker Airbus, a deal which is reportedly worth around $10bn although extracting the money through the banking system represents somewhat of a hurdle. The deal with Airbus highlights what this event actually means for investors. 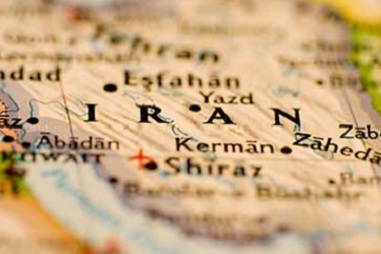 The re-emergence of a country the size and with the potential wealth of Iran, can only be a force for good, economically. Large scale investment projects (like Airbus) may have been well-flagged (and may even have formed part of the discussions around lifting sanctions), but there will be many others which could positively impact the global economy. Take the United Arab Emirates, for example. Relatively reliable estimates put Iranians as the sixth largest nationality group in the country – around 450,000 people. Many of these Iranians will be business owners. Even if they were not directly affected by the sanctions, the sanctions’ removal will only go to strengthen economic ties between the two countries. Identifying what needs to be done to move on from its years of underinvestment, Iran’s moderate leader Hassan Rouhani, said he hoped the country would attract up to $50bn worth of international investment and finance in 2016. Foreign businesses will now be clamouring to be a part of what is effectively one of the world’s biggest untapped markets. These businesses will be based in all corners of the globe and so the prospective pay-off has not only the potential to be big globally, but also diverse, supporting business from Hong Kong to Boston. Fund managers and investors have been closely watching events as they unfold. Tensions between the West (especially US) and Iran remain, and the lifting of sanctions was not welcomed by many parties in the Middle East. Arch enemy Israel has already publicised its mistrust, and Saudi Arabia’s relations with Iran are, perhaps coincidentally, at an all-time low. Here at AES International, we are optimistic. As Winston Churchill almost said, ‘It’s jaw-jaw, not war-war’. Iran simply isn’t the complete bogeyman it is often portrayed as, and we strongly believe that trade and dialogue are the best ways of driving social, political and economic progress, not just in Iran but across the region. And Iran, with a youthful population of more than 80 million, represents an exciting, potentially wealthy, new market for expats and their employers. On balance, we believe that market volatility around oil prices and Iran's reentry into the global marketplace simply serves as a reminder that volatility is always possible, and that it can be extreme (as was the case earlier this year). Iran’s return to the family of nations is, and should be, a positive. Smart investors look through the noise and use their judgement to take advantage of short-term issues for long-term benefit. Specifically by sitting tight and ignoring the noise. Complete the form below to learn how to set up the right long-term investment plan to meet your, and your family’s, investment needs.